Abstract: A human face and body convey important information for understanding a person: her identity, action, behavior, emotion, and intention. Computer vision technologies to process people’s image and video have many applications, ranging from biometrics to medical diagnosis and from surveillance to cognitive human-robot interaction. This talk will cover a variety of such human centric imaging technologies by drawing examples from the work at the Carnegie Mellon Robotics Institute Vision Group, including robust face alignment, real-time 3D face tracking, facial Action Unit (AU) recognition, body-part tracking, and understanding social interaction. Biography: Takeo Kanade is the U. A. and Helen Whitaker University Professor of Computer Science and Robotics at Carnegie Mellon University. He received his Doctoral degree in Electrical Engineering from Kyoto University, Japan, in 1974. After holding a faculty position in the Department of Information Science, Kyoto University, he joined Carnegie Mellon University in 1980. He was the Director of the Robotics Institute from 1992 to 2001, and a founding Director of Quality of Life Technology Research Center from 2006 to 2012. In Japan, he founded the Digital Human Research Center in Tokyo and served as the founding director from 2001 to 2010. 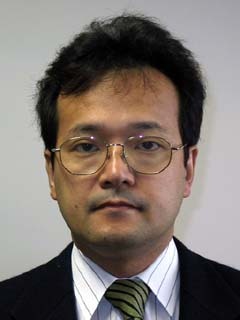 Dr. Kanade works in multiple areas of robotics: computer vision, multi-media, manipulators, autonomous mobile robots, medical robotics and sensors and has written more than 400 technical papers and reports in these areas, and holds more than 25 patents. Abstract: We have been studying human gait analysis for more than 10 years. Because everyone’s walking style is unique, human gait is a prime candidate for person authentication tasks.Our gait analysis technologies are now being used in real criminal investigations. We have constructed a large-scale gait database, and proposed several methods of gait analysis. The appearances of gait patterns are influenced by changes in viewpoint, walking direction, speed, clothes, and shoes.To overcome these problems, we have proposed several approaches using a part-based method, an appearance-based view transformation model, a periodic temporal super resolution method, a manifold-based method and score-level fusion. We show the efficiency of our approaches by evaluating them with our large gait database. Furthermore, I introduce the novel research project “Behavior Understanding based on Intention-Gait Model” that was supported by JST-CREST in 2010. In this project, we focus on a new aspect that a human gait pattern is influenced by our emotions, the object of our activity, our physical/mental condition, and the people surrounding us. In this talk, I briefly introduce an overview of this project and some studies on its medical application. Biography: Yasushi Yagi is the Executive Vice President of Osaka University in 2015. He received his Ph.D. degree from Osaka University in 1991. In 1985, he joined the Product Development Laboratory, Mitsubishi Electric Corporation, where he worked on robotics and inspections. He became a research associate at Osaka University in 1990, a lecturer in 1993, an associate professor in 1996, and a professor in 2003. He was the director of the Institute of Scientific and Industrial Research from 2012 to 2015. The studies in his laboratory focus on computer vision and media processing including basic technologies such as sensor design, and applications such as an intelligent system with visual processing functions. Some of our major research projects are: the development of a novel vision sensors such as an omnidirectional catadioptric system; biomedical image processing such as endoscope and microscope images; person authentication, intention, and emotion estimation from human gait, and its applications to forensic and medical fields; photometry analysis and its application to computer graphics; an anticrime system using a wearable camera; and 3D shape and human measurement using infrared light. He is a member of the Editorial Board of the International Journal of Computer Vision, the Editor-in-Chief of IPSJ Transactions on Computer Vision & Applications and the Vice-President of the Asian Federation of Computer Vision Societies. He is a fellow of IPSJ and a member of IEICE, RSJ, and IEEE.